Park Lane used amethyst, pink and lavender colored Austrian crystals to fashion the ornately jeweled flower that is the focal point of each item in the Casablanca ensemble. 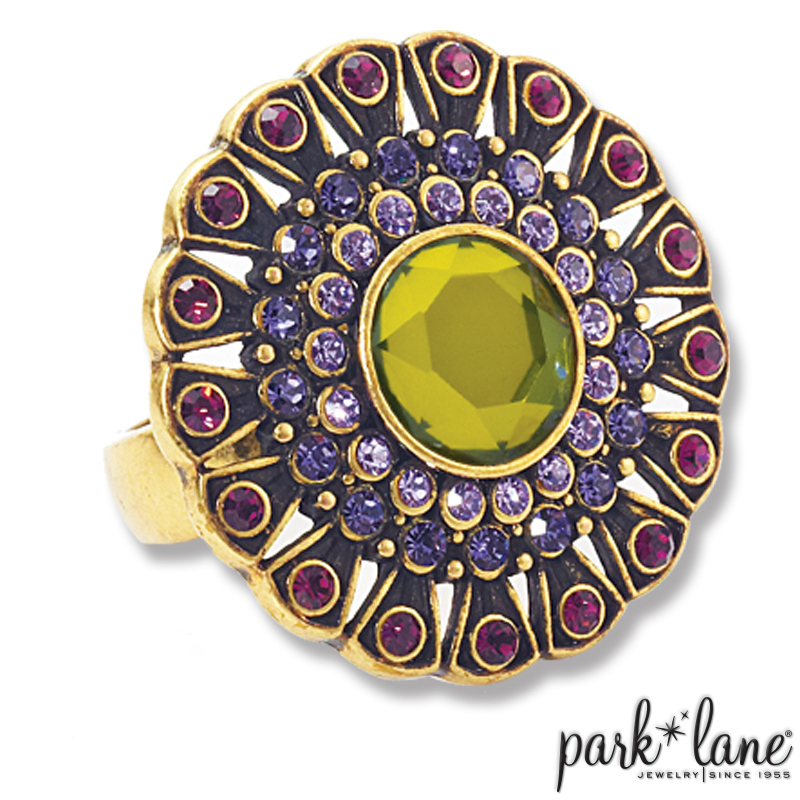 The large medallion ring commands attention. We added cat`s eye and cabochon gems to the scroll-work and detail of the exquisite cuff bracelet and dramatic multi-faceted statement necklace. Simple floral earrings are the perfect finishing touch to this sensational ensemble. Ring is available in sizes 5 through 10 Earrings are euro-back wires. Bracelet features a fold-over latch closure Necklace is 18 inches long plus a 3-inch extension.